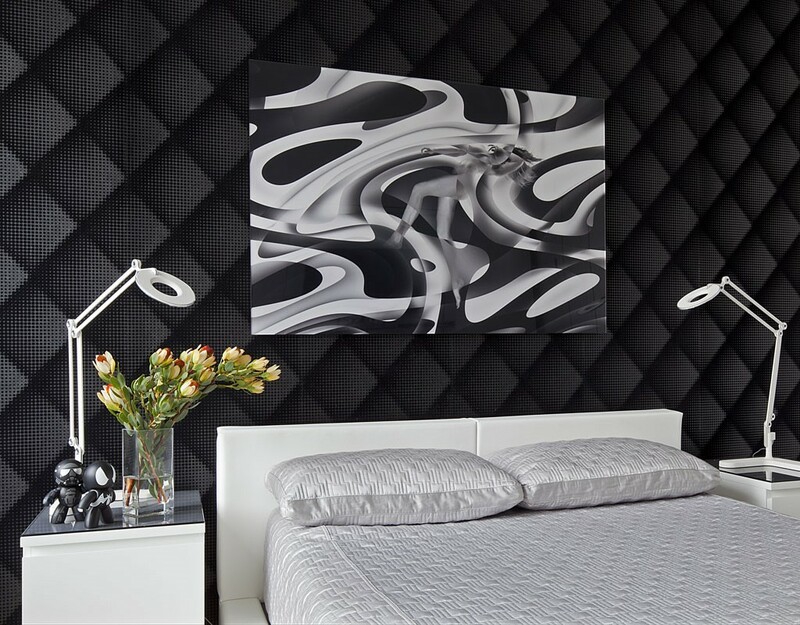 We were commissioned to design this three-bedroom apartment in Brooklyn’s dynamic Williamsburg neighborhood. 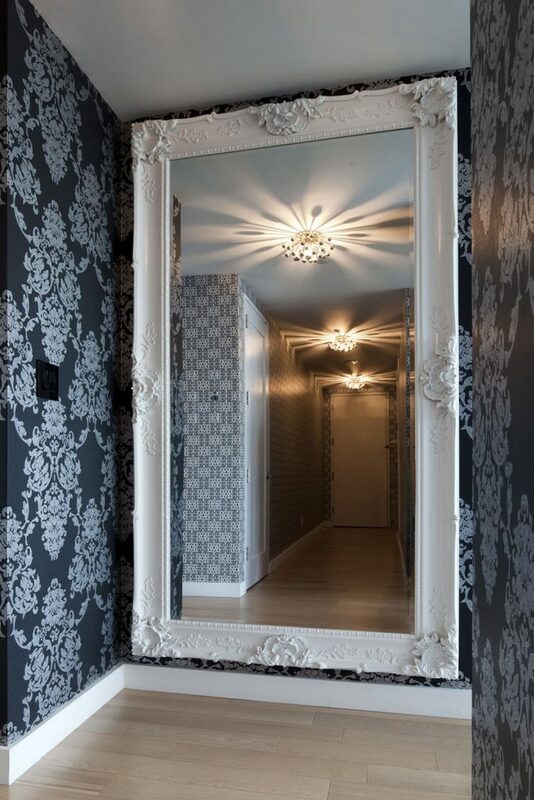 The clients wished to achieve a feeling they described as Modern Baroque. 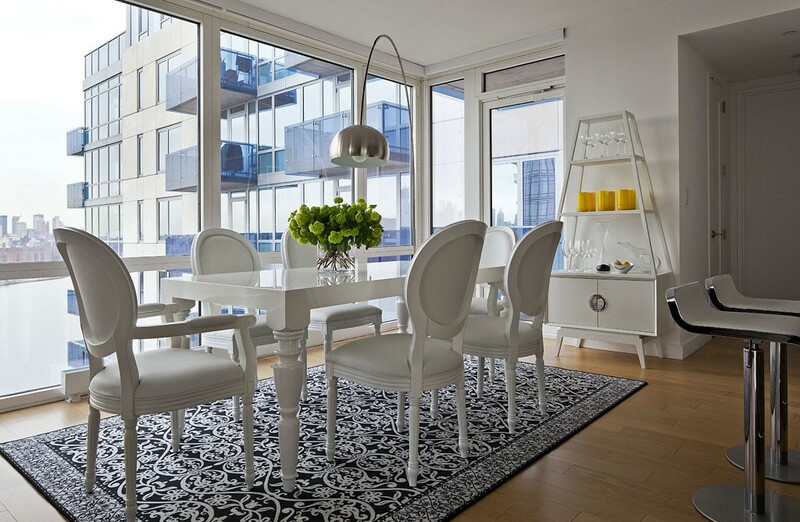 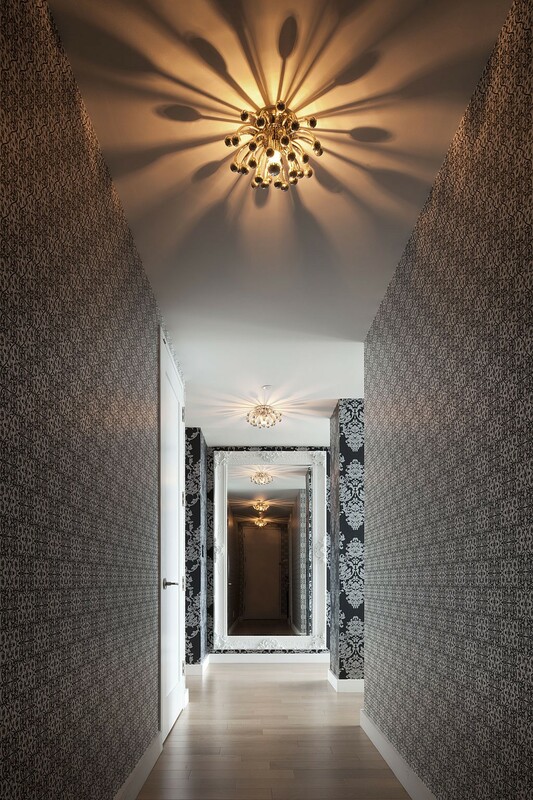 We showed them some of Marcel Wanders’ wallpaper; they loved it, and so we designed the apartment theme around Wanders’ motifs, mixing somewhat traditional furniture with an edgy contemporary twist. We lined both sides of the entrance hallway with the damask wallpaper, installed several Pistillino chrome light fixtures, and placed a floor-to-ceiling mirror at the far wall to create a space that seems deeper than it is, and that draws the viewer in. 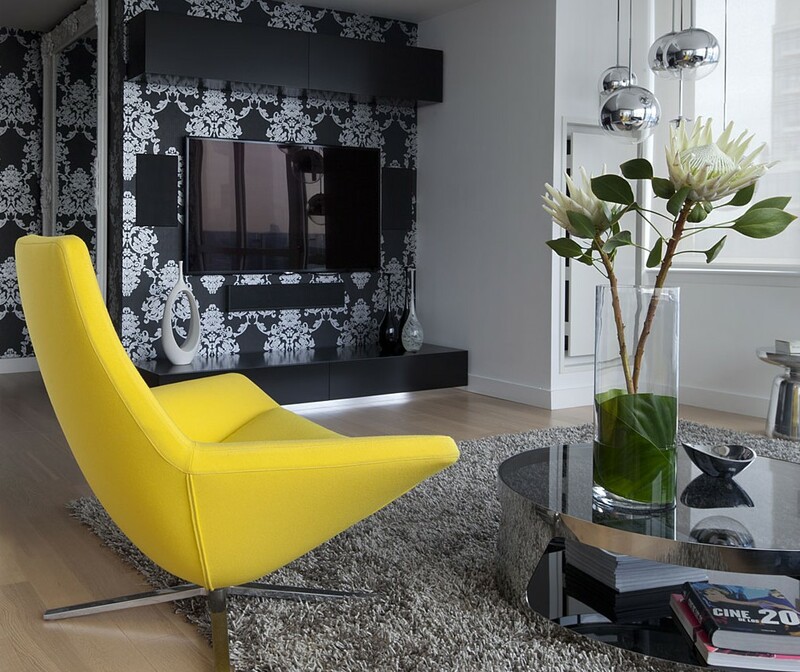 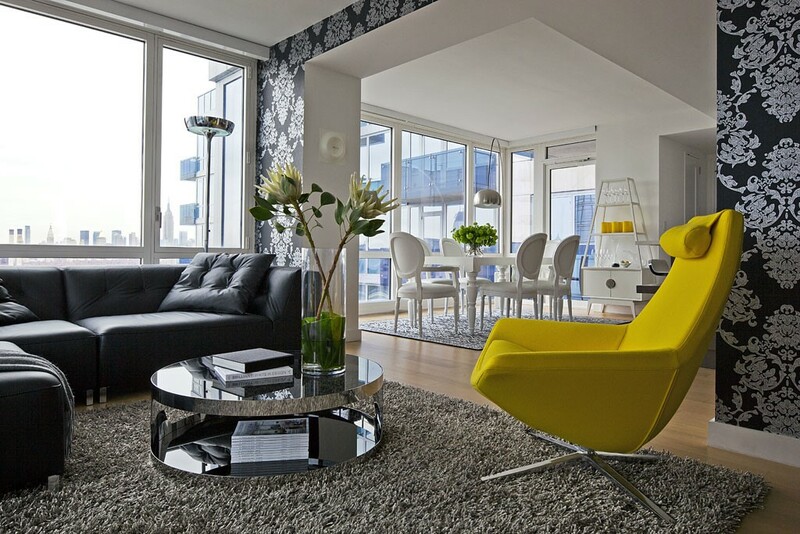 Other highlights include a Malhoun sofa by Ligne Roset and a B&B Italia Metropolitan armchair, which, with its canary yellow fabric, adds a vibrant splash of color to the black and white theme.